Hobbywing WP-880 Dual Brushed Waterproof ESC « Big Squid RC – RC Car and Truck News, Reviews, Videos, and More! I've got a couple of Hobbywing 860's that I bought for the Clod Buster, and one unused for a truck TBD, so I probably won't pick this up. I wonder if these are similar to the 1080's at all much the way the 860 was actually a re-purposed 1060. So is this the 4s capable 1080 I was hoping for? Looks to have all the 1080 features besides the selectable 6v/7.4v bec, but at least the amperage is up to 4.... sooo close! MEH on the on/off SWITCH, i like the power button on the 1080. Maybe there's a reason why they used that, instead of a power button like the 1080 ? Well this on/off switch can mount on the side of the esc. If you ever noticed, the 1080 has a on/off switch mount on the side, but the power button housing doesn't utilize it. I'm running the HW860 in a twin motor tug boat and it works very well. The HW880 would provide a bit more capacity. Has anyone used this in a Mad torque I think it would work good. The difference I see with the 880 on/off switch is there is no programming button built in, like the 1080 has, so programming probably has to be done with the LED programming box. Wouldn't be an issue for me as I find it way easier to program the 1080 with the programming box rather than playing around with a programming button. Keep 1 program box in my RC workshop and have another in my trail pack in case field adjustments are required on the run. Nothing on the Hobbywing website to say the program box is included with the 880. I would assume it is the same box as supplied with the 1080. Cheap 4s brushed. I like. 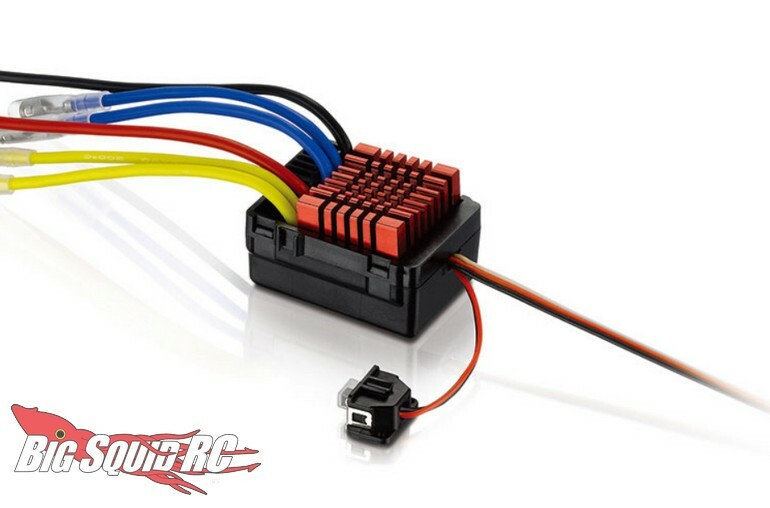 BTW why is it called a dual ESC if the outputs are merely parallel? Any ESC can be a dual ESC by that logic. Anyway, I think I'm getting one. Dual outputs for dual motors. This has been up for a while. Does anyone have any feedback? Can you use this with one motor if you choose to do so? I guess no one has feedback, thats disappointing. Q. Would the quicrun 880 esc allow me the option of using one motor instead of two? i am aware the qr wp 1080 is designed for one motor. A. Yes, the 880 will run single motor as well. Q. ... will the WP 1080 do anything the 880 will not do? A. The size would be the basic difference overall. The 880 is larger than the 1080 ESC. Features and adjustability, are the same. You can check out the instruction manuals and see the "Programmable Items" section #3, to see a list of each products adjustable features. Q. ... I would appreciate verification of my understanding of the Brushed Motor limit data at the bottom of the spec sheets. The 880 Dual says with a Brushed Motor Limit with a 2S LiPo is 12T or RPM 3000@7.4v. Does that mean the most turns the motor can have is 12? It is 10T on the WP 1080. A. A turn limit is the "Low" limit, so you can run that listed turn motor and "above" that turn. My response: Thanks for the clarification. I placed my order. I have had my RC for a few years, and it has had major makeovers by friends. I have never got into the details. Now I have taken a deeper interest. As a RC owner I'm somewhat a veteran, on knowledge I am a newbie. Hopefully the info above will be of value to others. Perfect for my sons xr10 build. I should be picking one up soon.